The long trail that started with the fight to get an indictment for the murder of a young man in Florida by the name of Trayvon Martin is now over. Back story for those who have been under a rock the past year, Trayvon martin was killed walking down the street by George Zimmerman who was a neighborhood watch captain and suspected Martin of suspicious behavior. however martin was on is way home from the store and was aggressively followed by Zimmerman. Police instructed Zimmerman to cease and Desi's from following the then 17 year old but he did not listen an altercation in sued between the two and Zimmerman shot Martin who was unarmed at the time. Zimmerman was not initially charged in the case because of a state law called stand your ground, however after Martins parents along with support from America they charged him. 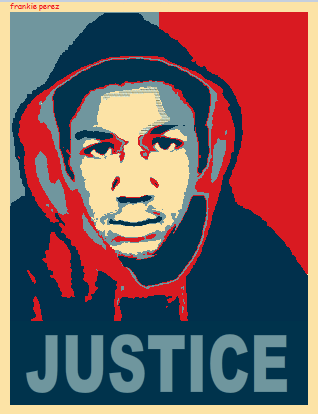 This Saturday the jury finally made a decision after deliberating for over 48 hours, but the verdict was even more of a disappointment , Zimmerman was found not guilty, which is a slap in the face, A young man that could be anyone son was killed for just walking down the street and his murderer was not charged. In my opinion the verdict can be attributed to a poor prosecution and a justice system that is a joke.